On the 5th of November 2018 my fellow classmates and I went to Juniper Hall on Box Hill. 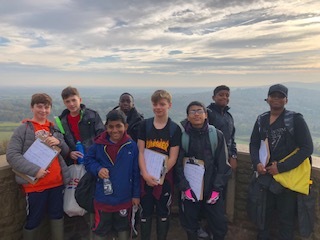 The target of our day was to understand and investigate a micro climate, we went to four completely different locations including cow slip bank, coppiced woodland, viewpoint and woodland east view point. During our time at Juniper Hall we collected a series of data, e.g: wind speed, light intensity and air humidity. We documented and measured every piece of the data we needed to use. On our walk to the different locations we were shown and told very interesting and useful pieces of information like why Box Hill was called Box Hill, it is called Box Hill as loads of box trees and box bushes grow on the hills.